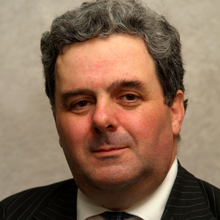 John has worked in the City of London since leaving Oxford in 1979 with a first class honours degree. He spent 18 years at Kleinwort Benson, principally in project finance and corporate finance, mainly advising larger public and overseas companies, before joining Old Mutual Securities (formerly Albert E Sharp) to become head of corporate finance and a member of the management board. He joined IDJ in 2005 and has a number of executive and non-executive directorships, including Vice-Chairman and trustee of The Hospital Management Trust.